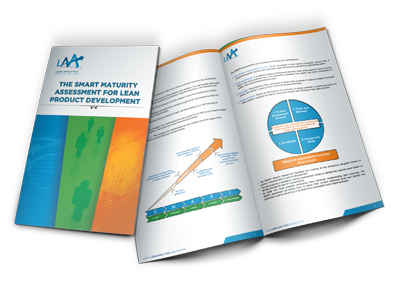 Once your organization has acquired an understanding regarding the benefits of implementing lean principles in product development, the second step proposed in our DARE methodology is to perform an assessment to identify your maturity level of already implemented lean product development practices. 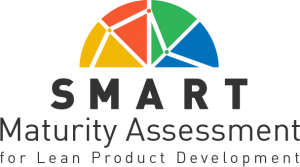 SMART Maturity Assessment is a tool that enables a qualitative assessment of the company´s maturity level of implemented lean principles and practices in product development and innovation. 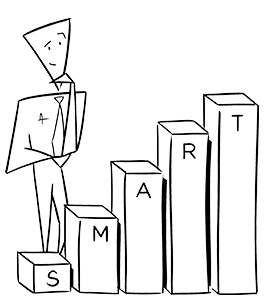 START: No Lean practice application in Product Development Process. MOTIVATE: Awareness of the benefit brought by the Lean practice but without a formal methodology to implement it. APPLY: Initial application of the Lean Practices to the corporation’s PD Process following an informal method. REVIEW: Implementation of the Lean Practice into the PD Process at specific stages following a formal method with reviewed and analyzed results. TRANSFORMED: Full implementation of the Lean Practice into the PD Process in all the stages of the Product Development Process following a formal method. 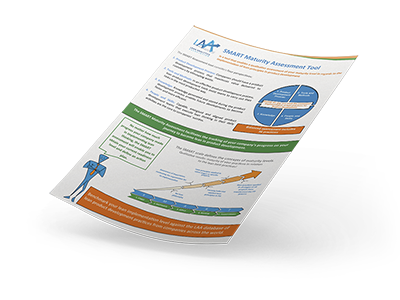 Interested in SMART Maturity Assessment and would like to know more about it?